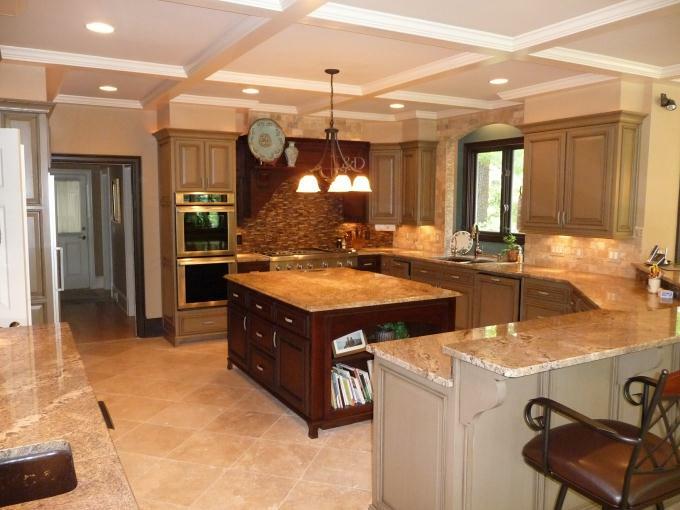 "The sexiest kitchen we've ever seen" said David & Lynn Leach of their newly remodeled kitchen in the Country Club of the South subdivision.. Looking for a great renovation from a proven qualified contractor? Then you have come to the right place! Griffiths Construction, Inc. is a residential remodeling contractor specializing in Kitchens, Baths, Basements, and Room Additions. We are dedicated to providing you a great project on time and on budget. Our number one goal is customer satisfaction and we've got what it takes to make that happen! We realize that every customer is different with unique tastes and circumstances. We will offer solutions and creative design ideas to reach your goals. Why do we do it this way? Because, your good reference is our next project. Check out our photo gallery to get some ideas for your next project. We'd like you to come and see some of our recent jobs and talk to the customers themselves. Call today to schedule a free estimate (678) 773-2571.
and get a $100 gift card to Home Depot! A contracting company is only as good as its customers say that it is. Here's a brief display of work we've done for satisfied customers. Four time repeat customers, Peggy & Dan Blount needed a little more sitting space around the kitchen area. Their new keeping room did just that and more..